We can design and install your bathroom. 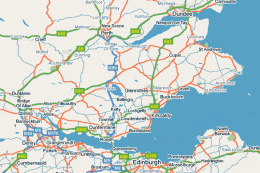 Based near Dunfermline we cover Kirkcaldy, Glenrothes, Kinross, Leven, St Andrews, Perth, Edinburgh as well as other parts of Fife. We can supply and install all your bathroom fittings – including, pottery, showers, baths, taps, tiles, ceilings, lights etc. Taking care of our health is more than just minding what we eat or drink every day. Sports are an essential technique to keep fit, but relaxation is just as vital. Newage Kitchens & Bathrooms feel at home in your bathroom, either large or small. We can supply you with a vast and balanced range of high quality products which will certainly improve your feel of well-being and quality of life. There are so many things to consider when you’re planning a bathroom, whether you’re starting afresh or renovating – for a metropolitan minimal look, classic and contemporary or authentic traditional home. A well-designed bathroom provides a place for contemplation and relaxation as well as for the practicalities of daily life. We can visit you at home, show you through our extensive bathroom ranges, let you see tile, and material samples, let you view pictures of our previous installations, and design together your dream Bathroom. And remember we can design, supply and install it all at age old prices.